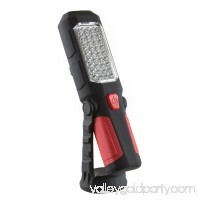 The 3AA - 4 LED Carabineer Flashlight features a waterproof design with float-ability. 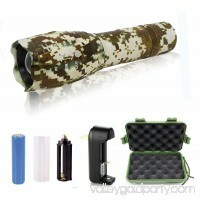 This flashlight is constructed with shock absorbing rubber around the hea.. This 200 Lumen 37 LED Worklight from Stalwart is going to make every job easier! 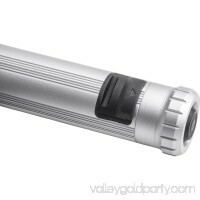 Every work light offers something different but this one offers so much more th.. 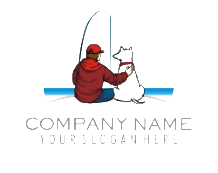 Feature: 100% brand new and high quality. Super bright and low consumption. Convenient on/off switch Powerful, red and reliable With hand strap. 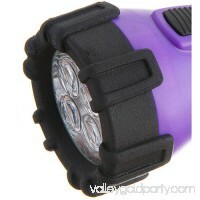 UV Lights E..
Take on the dark and hard-to-see places with the Ozark Trail Flashlight. This powerful flashlight offers 400 lumens of light to help you find your way. Ideal fo.. 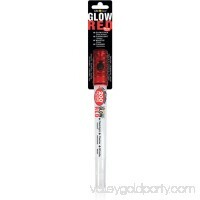 The Life Gear 4 in 1 LED Glow Stick Flashlight is an everyday product that could someday save your life! Battery operated, chemical free and environmentally fri.. 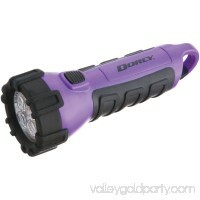 The Dorcy Waterproof LED Flashlight is ideal for both commercial and residential use, featuring an impervious design with unique floatability. The 41-2508 conta.. 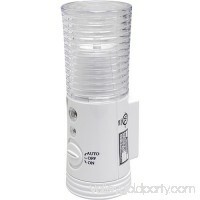 The Malibu 50 Watt MR16 Floodlight is a powerful halogen light designed to accentuate the beautiful areas of your yard. Invite friends over for a cocktail and d..
Light up your path with the GE 3-in-1 Rechargeable LED Power Failure Light. The LED light is cool to the touch and functions in three different modes. 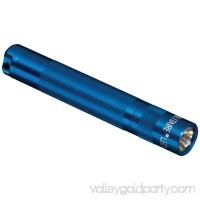 When used..
A key chain-size flashlight with big-light power the blue 37-Lumen MAGLITe SOLITAIRE LED Flashlight. 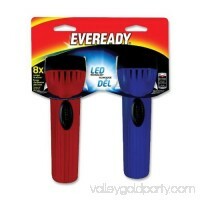 It features the classic look of the company's original Soli..
Eveready economy flashlights are a great general-purpose flashlight to keep on hand. 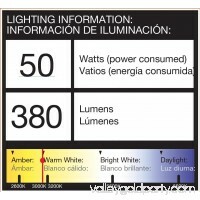 Bright white LED runs up to eight times longer than the incandescent light.. 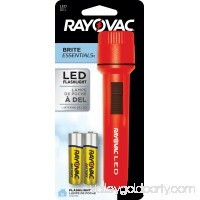 This bright LED light shines at 12 Lumens and a beam distance of 40 Meters. It's great to keep around for power outages or late-night outdoor adventures. 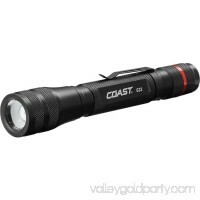 Featur..
Take your camping set up to the next level with the Ozark Trail 500 Lumen Rechargeable LED Flashlight. 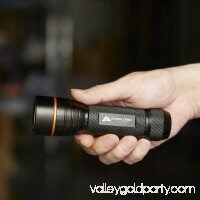 This Rechargeable Flashlight has 500 Lumens of light outp..
With a focusing optic and big light output in a slimmer, pocket-friendly form-factor, the 355-Lumen G32 Pocket Flashlight is an ideal all-around flashlight. Wit..